Can I get life insurance for my family? Making sure your family is protected is a number one priority for most people - that’s where life insurance comes in. 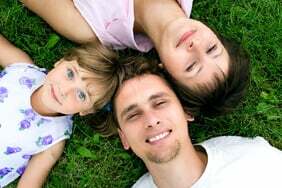 ‘Family life insurance’ isn’t actually offered as a policy, but it’s a phrase coined to explain how life insurance can offer financial security to your family if you were to die. This can help with payments towards a mortgage, debt, and other commitments you may have left behind. Use our life insurance calculator to estimate the amount of cover you’ll need. Which policy is right for my family? Level term – This policy will make sure you receive a fixed lump sum if you die at any time throughout the term that you’re covered for. If you took out a policy over 25 years, you’d be covered for 25 years only – but the payment your loved ones would receive is the same from day one to the end of the policy. Mortgage life insurance – This insurance will take into account your debt and standard mortgage repayments. The payment your family would receive after your death reduces over the length of the policy. This is usually the cheapest insurance option. You can also get joint life insurance, if you and your partner are looking to get insurance, as it could make premiums cheaper than buying two separate policies. How can I make sure my family is protected? Critical illness cover – not usually offered as a stand-alone product – getting critical illness cover as an extra to your policy could prove invaluable if you were to become ill. 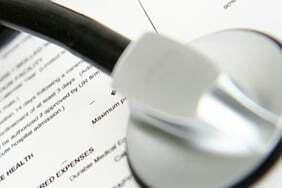 This extra will give you a pay-out if you are diagnosed with a listed critical illness during your policy term. If you have critical illness cover combined as part of your standard life insurance policy you will only get one pay-out and this will either be when you’re diagnosed as being critically ill – or when you die. It won't pay-out on both. Some insurers will also offer children’s critical illness cover, which can be added onto a parent or guardian’s life insurance as an extra. This could cover the cost of looking after your child or any medical bills that could occur if the worst were to happen and they become critically ill. You would get a tax free pay-out at the time of diagnosis to give your family financial support. A policy in trust – a life insurance pay-out is usually tax free, however if your policy isn’t written in trust your family might be liable to pay inheritance tax on any payment they receive. You should speak to your insurer and they should be able to guide you on the paperwork - this should be at no additional cost to your policy. Comparing life insurance – different insurers offer different policies, your best bet is to compare life insurance policies and decide which is best for you and your family – or if you’d rather speak to one of our UK-based specialist call 0800 652 9754. Confused Life is arranged and administered by Direct Life & Pension Services Ltd, who are authorised and regulated by the Financial Conduct Authority. Registered office; Friars House, 52A East Street, Chichester, West Sussex, PO19 1JG. Registered in England and Wales No 2467691. Our service is free and compares a wide range of trusted household names. Confused.com is an intermediary and receives commission from Direct Life & Pension Services Ltd which is based on a percentage of the total annual premium if you decide to buy through our website. We pride ourselves on impartiality and independence – therefore we don't promote any one insurance provider over another.